When I was at the Romantic Novelist Association Conference a few weeks ago I was lucky enough to meet quite a few fellow Accent authors. One of them was the delightful Lynne Shelby, who kindly agreed to be interviewed. I was travelling back to London from Paris on the Eurostar, and a Frenchman sitting across the aisle spent the journey telephoning his English friends telling them that he, François, was coming to London and suggesting they meet up. Unfortunately none of his friends wanted to see him. By the time we reached Kent, I was feeling very sorry for François, and I’d also had an idea for a story about a Frenchman who comes to England and is met off the train by an English girl who is very pleased to see him. These characters became Alexandre and Anna in French Kissing. I don’t model the characters on people I know, but some of the incidents in French Kissing have happened to people I know – I do make sure that I’ve disguised them enough that no-one recognizes themselves! 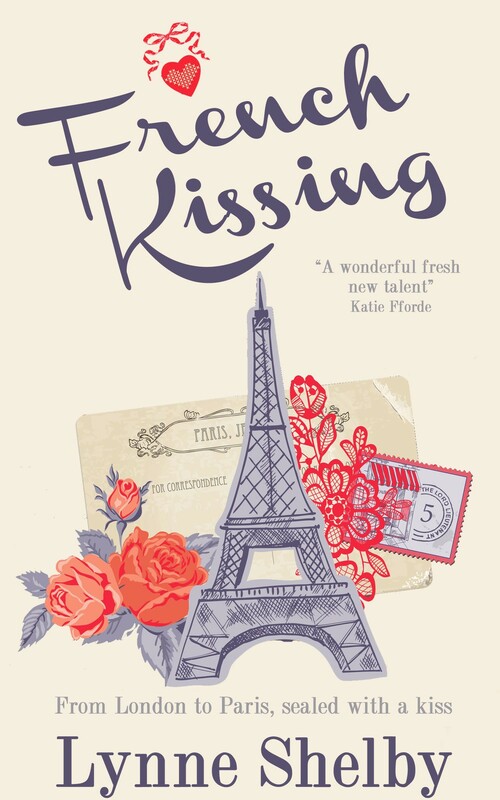 As French Kissing is set in contemporary London and Paris, most of my research was things like checking street names, and making sure I put well-known buildings in the right places! The most enjoyable bit of research was going to Paris for a few days – it’s one of my favourite cities – and visiting the places that my hero, Alexandre, takes my heroine, Anna. I write in the first person because I find this lets me really get inside the head of my heroine. When I start writing, I know the beginning and end of my story, but go with the flow in the middle. There seems to be a moment when the characters take over! Sometimes I do plot a chapter, if I know I need to get in a twist in the story at that particular point. 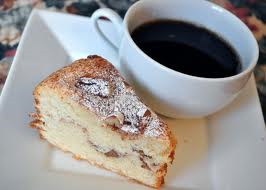 I’d like to say that I get up at 6.00 am, and after going for a run, write 2,000 words before breakfast. In reality, I do usually sit down at my desk by about 9.00 and aim for about 1,000 words before a late lunch. 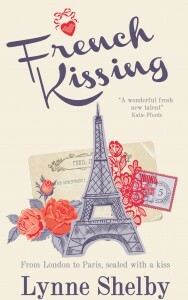 French Kissing is my debut novel, and I’ve found everything about getting published, from the moment I won the Accent Press and Woman Writing Competition, incredibly exciting. The thought that my story is being read is wonderful – it really is a dream come true. 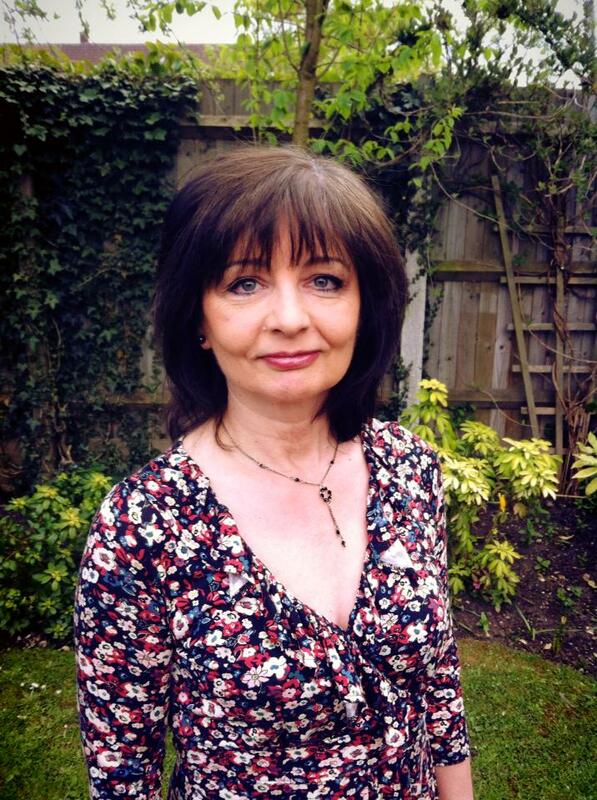 Lynne Shelby writes contemporary romance, because that’s what she likes reading the most. In January 2015 she was thrilled to win the Accent Press & Woman Magazine Writing Competition, and her debut novel ‘French Kissing’ is published by Accent Press. Many thanks for stopping by for a coffee Lynne- great interview.